Paisible, cadre privé avec des vues magnifiques sur les montagnes! Relaxant et agréable! Belle 4 Chambre, 2. 5 salles de bain coloniale sur plusieurs acres de terre. Il fait partie d'un composé à plus grande famille de plusieurs centaines d'acres qui comprend des étangs de castors, les ruisseaux, sentiers de randonnée, et une vue sur la montagne. Les infrastructures de la région, notamment la randonnée, le vélo, la natation, le golf et le canoë. Chesterfield Gorge est à quelques minutes. Pratique pour Northampton, Tanglewood, et de Shelburne Falls. Nature et de la beauté vous entourent! Chambre des maîtres avec lit queen et salle de bain privée. Chambre # 2 a un lit double. Chambre # 3 a un lit double et un lit simple. Chambre # 4 a 2 lits simples. Mangez dans la cuisine, des chaises pour 6 personnes. Four, Micro-ondes, réfrigérateur, lave-vaisselle, Pantry Articles, Cafetière, grille-pain. Vaisselle et ustensiles de cuisine. Les équipements incluent: lave-linge, sèche-linge, fer à repasser, serviettes et draps fournis. Un pays unique sortir, une retraite de sommet de la montagne, entouré de champs, de forêts, d'étangs et de ruisseaux. Situé sur la ligne Worthington / Chesterfield, idéalement situé à Northampton, Deerfield River Valley, ainsi que Pittsfield et Tanglewood. What an incredible home, the owner thought of every possible detail! We were provided with excellent details that we would need to facilitate our stay. The house was immaculate. The kitchen was stocked with the tools to enable you to cook there. There were two comfortable rooms on the first floor, as well as a formal dining room. The bedrooms on the second floor were decorated beautifully. Bedding was very comfortable, and there was an ample supply of extra blankets and quilts to ensure a perfect night's sleep. As wonderful as the house was, the grounds were equally amazing. There was a deck, an area with adirondack chairs. There is even a beaver pond on the property and along the trail to get to the pond, there are frogs and newts- it was awesome. If you are looking for the perfect place, this is it! Thank you for your lovely review Betsy. We are delighted you and your family had an enjoyable stay! The extended family who let the property to us were very welcoming and went out of their way to make us feel at ease. The property itself is a well kept very good sized family house which is actually lived in by the family for part of the year - it is not the sort of place where you arrive and find simply the obligatory six plates, six cups and six forks with everything else bare. It is on a small family estate (in the English rather than the property developer sense) but you are several hundred yards and a few hundred trees away from the other houses so you have peace and as much of your own space as you could wish for. The extensive lawns, running over many acres are a particular benefit whilst the beaver pond a short walk through the wood is stunningly beautiful. Thank you William for your lovely review! We are delighted you and your family had an enjoyable vacation. Our family of four had a lovely week's stay at this house in July. Setting is beautiful and quiet (last house on road - no traffic noise of any kind), and the house itself is roomy and comfortable. We had short visits by extended family and friends during our stay, and there was ample room. Maureen's pictures on the walls and the books in the bookcases make the house feel like a home, which we appreciated. We had several questions during our stay, and Tim or Maureen were always helpful and quick to respond. Tim's Dad who lives down the road was a gracious host as well. House is close enough to Cummington Creamery and Worthington General Store that you don't have to drive all the way to Northampton if you forgot an ingredient. Chesterfield Gorge is a lovely place to walk, and we had fun walking down to the beaver ponds behind the house. Great place for a low key country vacation with family and friends, reading, cooking, hiking, star-gazing and catching up; and, if willing to drive a bit, fairly easy access to a range of activities in Western Mass (Mass MOCA, Shakespeare at the Mount, Historic Deerfield, etc.). Thanks for your lovely review. So happy you enjoyed your stay! My family and I stayed here when we were in town for my niece's graduation at Smith. It was lovely. Everything was in working order and just as described. Mo, the owner, was very responsive and the area was just great. It was unseasonably warm the first day we were there but it cooled off after that. Area was lovely. We recommend the Rapids restaurant about 20 minutes away. Awesome experience. Thank you for your lovely review Rosalinda. I'm happy your family had a wonderful time. Last year when we visited, we said we would return and we did. This time we brought extended family with us, which made the house more lively and more efficient. We took advantage of its size and generous resources. It is intended for large groups. We had our white Christmas season, a big snow storm, the trails covered with a deep blanket, beautiful, instant plowing by the town and help with the driveway. We cooked, the kitchen is so well appointed, we made fires, plenty of wood to burn. Next, we have to come in a warmer season to make use of the terrace with its view of the hill and woods. We did not get to see Tim and Maureen but we communicated with them easily, they were available for any question. 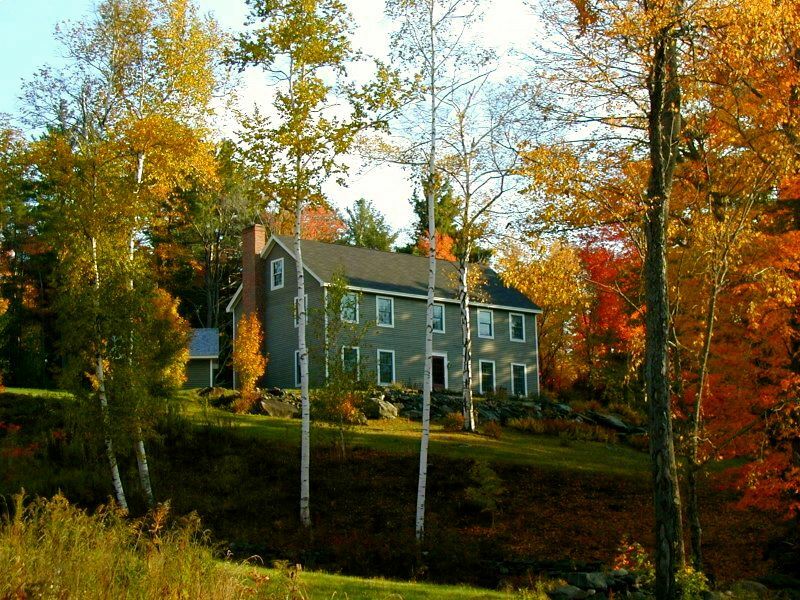 We enjoy Western Massachusetts, this house's location is perfect for visiting the main places of interest, we were in Lenox, Northampton, Pittsfield, Greenfield, Brattleboro, Amherst, we could easily have gone to Mass MoCa and the trails abound in the area. What a treat. Thank you again for sharing your beautiful house. We are very happy you enjoyed your return stay. Thank you for your lovely review. Large, clean house with plenty of room for a family. Four bedrooms, all upstairs - a master bedroom with bath and three smaller (but sizable) bedrooms with a shared bath. Plenty of room downstairs with two living rooms, a dining room, an eat-in kitchen, and another bathroom. Beautiful, expansive property at the end of a long, private road. Broad(ish) band internet and 4G LTE reception (AT&T, at least). We enjoyed sleeping late in the comfortable beds with the cool summer night breeze and waking to a beautiful view of the hills before having coffee on the back deck. The property was fun to explore. The kids liked practicing soccer in the meadow atop the hill and we climbed up to spot shooting stars at night from the hilltop chairs. The house is well equipped and our hosts made our visit easy. We particularly enjoyed our visit from Charlie who shared the history of the property and pointed out several spots for us to check out. We recommend lunch at the Cummington Creamery about 10 minutes away - good baked goods, coffee, and excellent homemade bread. No pets or smokers. Check in Friday at 4pm. Check out Friday at 11am.